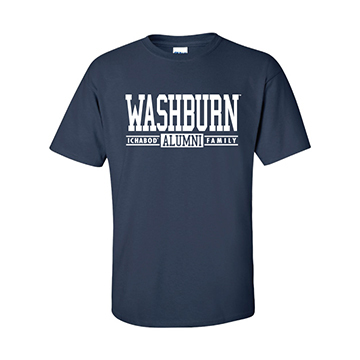 Classic crew neck tee features Washburn Ichabod Family - ALUMNI - graphics in white. 100% Cotton. Made in Dominican Republic. Please select option for Tee - Ichabod Family Alumni.